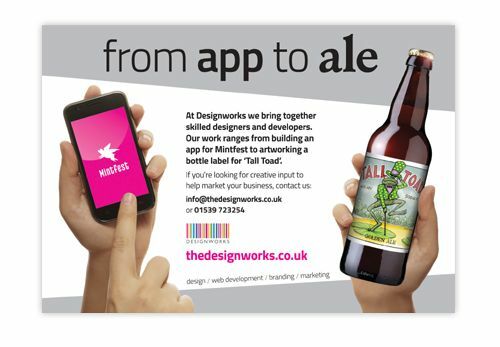 Designworks is sponsoring this year’s CAMRA Westmorland Beer and Cider Festival. The event is in its 20th year and will be held at the Town Hall, Highgate, Kendal from Wednesday 9th to Saturday 12th October 2013. Entry is Free and all unused tokens can be refunded or donated to charity which this year is Sight Advice.